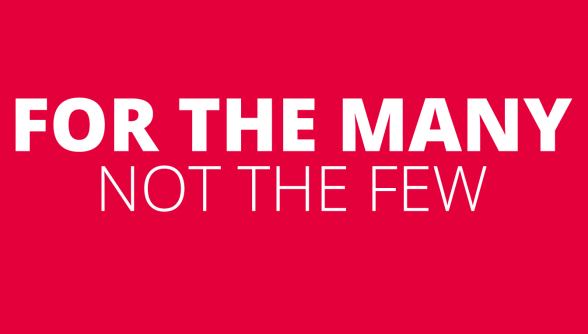 It is just over a century since the Labour Party first achieved parliamentary representation in the area which is now covered by our Constituency Party. In 1909 our current Labour Party branches were spread amongst no less than three separate Parliamentary Divisions. Dramatically in that year and without a General Election being held, all three seats went to Labour. It was all due to the role of the Miners’ Union. 1909 was the year in which they first affiliated to the Labour Party, following a national ballot. Two statues can be seen outside the former Miners’ Offices on Saltergate in Chesterfield. One of these is of James Haslam who was Secretary of the Derbyshire Miners. The other is William Harvey who was their Financial and Corresponding Secretary. The two were known as the “twin pillars” of the Derbyshire Miners’ Union and they became MPs. Haslam was first elected in 1906 and Harvey in a by-election the following year. Yet they were elected with the support of the Liberal Party and were known as Lib-Lab MPs. It was when the Miners’ Union moved into the Labour Party that they broke their links with the Liberals and joined the Parliamentary Labour Party where they played prominent roles. They both stood successfully in the two General Elections of 1910 as Labour candidates. James Haslam was the MP for Chesterfield, which at that time covered the area of our current branches at Clay Cross, Tupton, Grassmoor, West and Holmewood. William Harvey was the MP for a seat called North Eastern Derbyshire which included Dronfield, Eckington. Killamarsh and North Staveley. North Wingfield was part of a further constituency called Mid-Derbyshire. It also went Labour in 1909 when a by-election was held. In the days in which MPs weren’t paid, the Derbyshire Miners could not afford to run a third candidate, so the Nottinghamshire Miners stepped in and ran their Agent as the Labour candidate. He was George Hancock, who was the first miner in England ever to be elected as a Labour MP. For he had not emerged via the Lib-Lab avenue. The legendary Labour leader Keir Hardie canvassed in the by-election. Haslam, Harvey and Hancock set a tradition going, which has led to the bits and pieces which came together as NE Derbyshire all being represented by Labour for a minimum of 88 years out of the past century. The next time you get a chance; have a look at the two statues outside the former Miners' Offices at Saltergate in Chesterfield. The one on your right is that of James Haslam. He was born in Clay Cross in 1842, the youngest of 10 children and he started work there on the pit brow when he was ten years old, working 12 hours a day. He became the Secretary of the Derbyshire Miners' Association (DMA) when it broke away from the South Yorkshire Miners' Association in 1880 and helped to build it up into a powerful organisation. He became the MP for Chesterfield in 1906 which in those days also covered the areas of our current Branches at Clay Cross, Grassmoor, Holmewood, Tupton and West. He died in 1913. During his time as MP he continued to hold his post with the DMA, for MPs were not paid until 1911 and then only modestly. 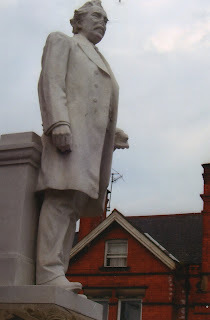 The statue on you left is that of William Edwin Harvey, who had a similar background to Haslam. He was born in 1852 in Hasland and went to work at a pit at Grassmoor when he was ten. Both Harvey and Haslam worked closely together on trade union matters and were also both active as Primitive Methodists. Harvey became MP for what was then known as North Eastern Derbyshire at a by-election in 1907 and held the position until his death in 1914. He held various posts with the DMA such as Treasurer, Assistant Secretary and finally the joint positions of Financial and Corresponding Secretary. His seat included the areas of our current Staveley, Killamarsh, Eckington and Dronfield Branches. Haslam and Harvey were known as the "twin pillars" of the DMA. They were both elected initially as LIb-Labs (i.e. as labouring people who were trade unionists but obtained organisational and financial backing from the Liberal Party). But the DMA was by that time affiliated to the Miners Federation of Great Britain (MFGB) who in 1908 held a ballot on whether to affiliate to the recently established Labour Party. When the Miners voted to do this, Haslam and Harvey then moved over to become Labour MPs, winning their seats under that label in two subsequent General Elections that were held in 1910. They were also prominent figures in both the MFGB at national level and the Trade Union Congress. If you wish to find out more about Haslam and Harvey, the best source of information is contained in a book entitled "The Derbyshire Miners" by J.E. Williams, published by George Allen and Unwin in 1962. As it is 993 pages long, your best bet would be to borrow it from your local library. If they don't have it they can easily get hold of a copy for you. It has a full index which can be used to sort out the best references to Haslam and Harvey. At page 320 there is a photograph of the unveiling of the two statues outside the Miners' Offices on 26 June, 1915 - although the huge crowd is easier to see in the photo than are what were then two very new white statues. For numbers of years prior to 1918, the current territory covered by the NE Derbyshire Constituency formed parts of three different Parliamentary seats. I explained in an earlier article how these all came under Labour control in 1909. Yet by 1915 Labour had lost control of all of them. First of all, James Haslam the Labour MP for Chesterfield died in 1913. The Derbyshire Miners selected Barnet Kenyon to stand in his place. He had held posts as President, Assistant Secretary and General Agent for the Derbyshire Miners’ Association. But because of his close links with the Liberal Party both the National Executive Committee of the Labour Party and the Miners‘ Federation of Great Britain refused to endorse him as a candidate. The Miners spending a whole day discussing the issue at their national conference. Kenyon was, however, elected unopposed at the bye-election. At that time Clay Cross and much of the area around it (apart from North Wingfield) formed part of the Chesterfield seat. In 1914, William Harvey the MP for North Eastern Derbyshire (which covered Dronfield and surrounding areas) also died. Labour ran James Martin as their candidate in this bye-election. He was President of the Derbyshire Miners at the time. Yet he finished bottom of the poll in a three cornered fight. The reasons for this were (1) the Liberals split the anti-Tory vote by running a candidate for the first time since 1907, (2) the miners themselves were being offered conflicting patterns in the area by the Liberal Kenyon and Labour’s Martin, (3) with the first world war starting in1914, patriotism was to the fore and the seat was won by the Conservative Major Bowden who had a majority of 314 over the Liberal and (4) Labour had little organisation and had previously depended upon the personality and prominence of the late William Harvey. After a defeat in which Labour obtained less then 27% of the vote, Labour quickly set up a constituency-style organisation. This was something of a pioneering move as the Labour Party nationally did not set up its general constituency structure until 1918. The third seat which was lost was Mid-Derbyshire which covered North Wingfield. George Hancock of the Nottinghamshire Miners was their MP. But in 1915 he defected to the Liberal Party. Although Kenyon remained as MP for Chesterfield until 1929, it was Labour who started to dominate the political scene in the area covered by our current constituency. This was helped by boundary changes in 1918. Our area came to be divided between what was to be the solid Labour seat of Clay Cross (which then included North Wingfield) and a redrawn North Eastern Derbyshire which was taken again by Labour in the 1922 General Election in dramatic circumstance. Labour burst onto the local political scene in 1909 when the Derbyshire Miners’ Association (DMA) joined the Labour Party and the three parliamentary seats which cut into the current boundaries of NE Derbyshire each acquired a Labour MP. Yet due to two deaths and a defection, Labour had lost all three seats by 1915 and it was not until 1922 that it was again successful. New parliamentary boundaries and the first votes for women were introduced in 1918. The three seats which cut into our current Constituency Boundaries were then Chesterfield, North Eastern Derbyshire and Clay Cross. Until 1929, the Chesterfield Constituency (which included the arrears of our current West Branch, Grassmoor and New Whittington) underwent one of its periods of Liberal control. This occurred because their MP Barnet Kenyon defected to the Liberals, although he had been a leader of the DMA. The Clay Cross Constituency contained an area dominated by pits, including North Wingfield, Tupton, Holmewood, Pilsley, Stonebroom and Clay Cross itself. Frank Hall of the DMA stood in 1918, taking 45.9% of the vote. He lost due to the fact that the Tories united behind a Liberal Coalition candidate who supported the continuation of the Lloyd George Coalition after the war. A victorious Coalition which came to be dominated by Conservatives. Labour, however, took the seat in 1922 and it became one of the strongest Labour seats in the country until its abolition in 1950. When Labour suffered a massive collapse in 1931 following the economic crisis and Ramsay MacDonald its leader defecting to form a National Government, Labour still held Clay Cross by 9,552. This was a considerable majority as the Labour Party nationally lost no less than 236 out of 288 seats. In this period, North East Derbyshire incorporated Dronfield, Eckington, Killamarsh and Staveley. It also spread over into Clowne, Barlborough, Bolsover and areas which were later moved into Sheffield. In dramatic circumstances it went Labour in 1922. The Labour candidate Frank Lee was an official of the DMA. He failed narrowly to take the seat in 1918, when he stood as one of the early advocates of the nationalisation of the coal industry. The contest of 1922 could not have been closer. Recounts took place. On the second count Labour’s majority was two. After the sixth recount, the boxes were sealed and. fresh counting clerks were employed. This still did not resolve the matter. As there was still no agreement about the result, it went before the King’s Bench Division of the Courts. Lee was belatedly declared the winner by 15 votes and entered the Commons five months after the count. In all Frank Lee fought 7 General Elections for Labour, losing in 1918 and again in 1931. He served a total of 16 years as an MP until his death in 1942. When Chesterfield finally returned to Labour in 1929 with the election of George Benson he went on to serve as their MP for a total of no less than 31 years in spite of his defeat in 1931. The Clay Cross Parliamentary Constituency operated from 1918 and ended with the 1950 General Election. It covered Clay Cross, Tupton and North Wingfield in our current Constituency, plus areas in an around Holmewood, Glapwell, Shirebrook and Stonebroom. Mining abounded. Yet although the Constituency Labour Party was dominated by the miners’ vote, out of the six different Labour candidates it ran for parliament at various elections only two of these were miners. This showed an independence of mind by local miners from the pressures of the leadership of the Derbyshire Miners which was aided by the influences of Methodism and mobilised socialist views. The later coming from the local influence of bodies such as the left-wing Independent Labour Party, which only ended with its disaffiliation from Labour in 1932. The seat also became rock-solid Labour, so it attracted the interest of leading Labour figures at national level. Yet the first election of 1918 followed a conventional pattern for the area. Fred Hall, the Labour candidate was a leading official of the Derbyshire Miners Federation who eventually served on the Federation’s national executive committee for 29 years. 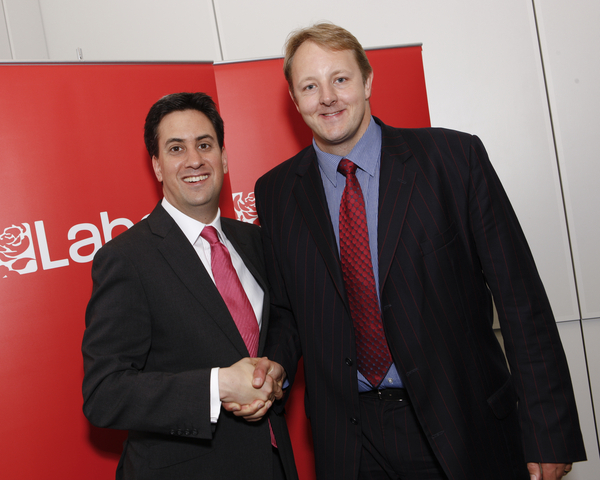 He was, however, the only Labour candidate who failed to win the seat. He lost by 1,221 to a Liberal who had Conservative backing. A year after the Russian Revolution, they wanted to keep out what they saw as Bolsheviks. When Fred Hall dropped out of standing for the seat just prior to the 1922 General Election, Charlie Duncan was selected in his place. He had helped to found the Workers’ Union who had been involved in the birth of the Labour Party and which represented unskilled workers. He had previously had a spell as the Labour MP for Barrow and had served as both Whip and Secretary of the Parliamentary Labour Party. He won the elections in Clay Cross in 1922, 1923, 1924, 1929 and 1931. His final success revealed how Labour had built up the seat. The 1931 election was held following the collapse of the minority Labour Government in the middle of a major financial crisis, with Ramsay MacDonald its leader defecting to run a National Government. Labour’s position at the subsequent General Election collapsed from 288 to 52 seats, yet Labour held Clay Cross by almost 10,000 votes. When Charlie Duncan died in 1933, Clay Cross adopted Arthur Henderson as their candidate. Known as “Uncle Arthur” he is a huge figure in the early history of the Labour Party. He was leader of the Labour Party from 1908 to 1910 (with another spell at the start of the First World War). He served as Labour’s first Cabinet Minister in First World War Coalitions from 1915 to 1917. He helped shape the pre-Blairite structure of the Labour Party as General Secretary of the Labour Party, a post he held from 1912 to 1935. He was Home Secretary in the first Minority Labour Government of 1924 and Foreign Secretary from 1929-31. When MacDonald defected he took over as temporary leader until 1932, but gave up the position because he had by then lost his parliamentary seat. Clay Cross provided his avenue back into Labour’s parliamentary politics. In the by-election one of his opponents was Harry Pollitt the General Secretary of the Communist Party who lost his deposit with 10.8% of the votes to Henderson’s 69.3%. Whilst MP for Clay Cross, Henderson went on to receive the Nobel Peace Prize and was held in high regard as “no-one ever sought his help in vain*”. He died in 1935. At the subsequent General election, Clay Cross ran the 35 year old Alfred Holland a local Methodist. But within 10 months he was stricken with spinal meningitis and died shortly afterwards. A by-election in 1936 led to the Clay Cross Labour Party running its fourth candidate in five years. George Ridley had been on the Executive of the Railway Clerk’s Association since 1909. He was seen as “becoming the Labour Party’s leading pamphleteer*”. In 1944 he also died whilst still an MP. After 26 years, Clay Cross once more adopted a Derbyshire Miners’ Candidate in Harold Neal the area’s Vice President, who went on to become Secretary of the Miners’ group of MPs in parliament. There was a war-time pact amongst Churchill’s War-time Coalition Government at the time, so only two independent candidates stood against Neal. One ran as a “Workers Anti-Fascist” and the other as an “Independent Progressive”. Neal got 76.3% of the votes. When the war ended, he improved his position by taking 82.1% of the votes in opposition to a Conservative. When the boundaries were redrawn and the Clay Cross seat was absorbed into other areas, Harold Neal became the Labour MP for Bolsover. He had a period as Parliamentary Secretary to the Minister of Fuel and Power in 1951 and retired as MP in 1970 to be replaced by Dennis Skinner who was the Chair of NE Derbyshire Labour Party in the period up to then, being a member of the Clay Cross Labour Party. A souvenir brochure published by the Clay Cross Divisional Labour Party in 1948 pointed out Labour’s dominance in the area, stating that there were “46 Local Government Seats (exclusive of Parish Councils) within the Constituency : of these 40 are held by Labour members. In addition, there are 16 Parish Councils : in the majority of cases we have 100 per cent representation”. ( * = The two earlier quotations are also taken from this invaluable source). From 1918 to 1950 our corner of Derbyshire contained three parliamentary seats; two of these differed considerably from the current structures. The seat that we would still recognise is that of Chesterfield, which was based on its municipality although it also lapped beyond this. One of the seats was the Clay Cross Division which (as described in my previous article) was powerfully held by Labour from 1922 onwards. In fact it was one of the strongest Labour seats in the country and was held comfortably even in 1931 although the Labour vote then collapsed nationally. Next in Labour’s mining strength came what was known as the North Eastern Derbyshire Division. It included what is now the northern section of the Bolsover District centred on Clowne, much of Staveley, areas later transferred to Sheffield such as Beighton and Dore, plus Dronfield, Eckington and Killamarsh. This was also mainly mining territory (but not exclusively so). Labour gained the seat by only 15 votes in 1922, losing it afterwards only in the 1931 collapse. Whilst the Chesterfield Division took in mining territory such as Grassmoor and Arkwright and housed the offices of the Derbyshire Miners, its municipal character plus its business and commercial elements and its engineering works supplied it with countervailing tenancies to the solid mining tradition. I have previously explained how Barnet Keynon although emerging as an official of the Derbyshire Miners Association took the seat for the Liberals in 1918, 1922, 1923 and 1924. It was only when he retired in 1929 that Labour took the seat under George Benson. Yet the seat was again lost in the collapse of 1931, returning to Labour from 1935. Chesterfield’s Labour links with MPs who came from the mining industry were sparse. James Haslam fitted the category between 1909 and 1913. The next person to meet the criteria was Eric Varley much later in 1964. The Clay Cross Constituency, the old North Eastern Derbyshire Constituency and a more recognisable Chesterfield Constituency, all existed alongside each other from 1918 to 1950. It was a period of great political change and social turmoil. The 1918 Election took place just after the end of the First World War in which many local people had fought, including those under conscription which had extended to Coal Miners. The election took place following the operation of a post-war Coalition in which Labour had been involved. The Liberals and Conservatives, however, attempted to keep their relationship going when the war ended. In the bulk of seats, they did not run candidates against each other. Lloyd George as Prime Minister and a Liberal was the main architect of the move. Although the deal between the Liberals and the Conservatives worked in the short run and they were back in Government, it eventually aided social forces through which Labour was coming to be seen as the alternative to the Conservatives. It was the start of a steep decline in support for the Liberal Party. It has some lessons for the current Con-Dem Coalition. The social tension of the time was seen in two huge strikes in the Coal Industry in 1921 and 1926. The latter being linked to the General Strike, but which went well beyond it. Labour had electoral victories a few years after both of these strikes. In 1924 they formed the first minority Labour Government. It produced what became known as the Wheatley Housing Legislation which enabled Labour Local Authorities in particular to build Council Housing Estates - a massive housing improvement for many. Then a minority Labour Government operated from 1929 to 1931. This second Government was hit by the international financial crisis. Ramsay MacDonald was Prime Minister during the time of both these Minority Labour Governments, but he moved from the Labour Party with a small band of defectors in 1931 to set up a coalition Government (known as the National Government) with the Conservatives and a section of the divided Liberal Party. Once more an election was soon called and "National" candidates from the Conservatives, elements of the split Liberal Party and the small group of "National Labour" won a massive victory. But although Labour lost huge numbers of seats (but not Clay Cross), they started the recovery in the 1935 election - including in our wider area. Following the experiences of the Second World War and a widespread determination not to return to the poverty, unemployment and depression of the inter-war years, Labour won the 1945 election under Clem Attlee with a huge majority of 147. All three of our local seats returned solid Labour majorities. Although Labour achieved the establishment of a Welfare State with a National Health Service, a public ownership programme with major significance locally because of the Nationalisation of the Coal Mines in 1947, plus an era of full employment and fair-shares for all; its majority in the 1950 election dropped to only 5. The contest in 1950 was fought under a new local constituency structure. Clay Cross and the old North Eastern Derbyshire being replaced by Bolsover and a new North East Derbyshire which formed the basis of our current constituency set-up. The later formed a familiar "C" shape around Chesterfield. There have been many chops and changes since to Bolsover, NE Derbyshire and Chesterfield, but the only major area to be lost from their common external boundaries was an area transferred from NE Derbyshire to Sheffield in 1970. In 1950 Labour recorded huge majorities in the three seats in the area - 25,833 in Bolsover, 16,683 in Chesterfield and 16,457 in NE Derbyshire. The combined majority was nearly some 59,000 and almost 9,000 greater than the total in 1945. This is partly explained by the fact that the 1945 election wasn't fought on an up-to-date register. The huge dominance of Labour in our area at the time arises from the dominance of mining communities and the collective spirit they generated around 1950. From 1918 to 1950 three seats ran roughly from east to west across our area. NE Derbyshire to the north, Chesterfield in the centre and the Clay Cross Constituency to the south. The 1950 General Election was, however, fought on new parliamentary boundaries which we would recognise today. The Bolsover Constituency was established and the Clay Cross seat was disbanded. North East Derbyshire (rather than the “Eastern” variety) came into existence. Clay Cross with Tupton and North Wingfield (also taken from the Clay Cross Division) become part of the newly structured NED Seat whose boundaries were initially similar to those of the current NE Derbyshire District Council area and included places such as Stonebroom. At the 1950 Election, Labour easily took all three of the new seats. Harold Neal the former Clay Cross MP won the Bolsover seat by 25,833. 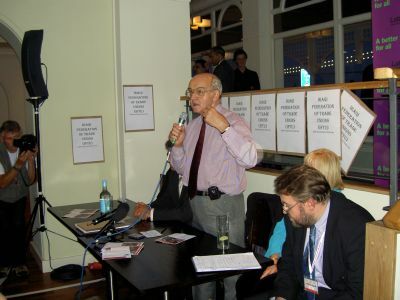 Harry White moved from the old NED seat to the new one, with a majority of 16,451. Whilst George Benson carried on at Chesterfield with a majority of 16, 683. The late Bas Barker who will be remembered by many of us for his work in the Trade Union Movement and then with Pensioners, taking only 554 votes for the Communist Party. Benson also had had a left-wing background, having at one time been Treasurer of the Independent Labour Party which had been founded by Keir Hardie and others. It had participated in the formation of the Labour Party itself. The current basic shape of our own Constituency came into operation for the 1950 election. The make-up of the area differed significantly from what we know today. A large number of pits were in operation, whilst Dronfield and Wingerworth were much smaller places than they now are. Between 1950 and 1970, the Constituency was almost identical to that of the area of the North East Derbyshire District, which at that time contained what are now areas of Sheffield such as Mosborough and Beighton as well as areas that are still part of the District including Stonebroom, Holmewood and Pilsley. It was essentially made up of working class communities which each had a close social bond. From 1950 up to 1987 the Constituency continued the tradition of being represented by Derbyshire Miners. The first of these was Henry White, who had also represented the area under its old boundaries since 1942. He came from Cresswell, served as a Miners' Branch Secretary for 18 years, became a Derbyshire County Councillor and an Alderman and was appointed as Vice-President to the Derbyshire Miners' Association in January 1939. He was first returned to parliament in 1942 following the death of Fred Lee whom he had acted as Agent to for in the previous 1935 General Election - there being no General Elections held during the Second World War. Henry White was successful in the General Elections of 1945, 1950, 1951 and 1955. The last three of these being held under the new boundaries. His respective majorities in the new seat were between 16,451 and 17,344. They reveal the power of the votes of mining families in these contests. Such majorities were obtained although Labour lost the General Elections of 1951 and 1955. His parliamentary contributions often centred on coal mining concerns, such as an opposition to opencast mining operations. Serving in parliament from 1942 to 1959 he saw a period of what was called "war socialism" with its fair-shares policy based upon rationing, then he saw the establishment of a post-war welfare state and a mixed economy which the 1951 to 1959 Conservative Government's felt a need (in the main) to accept. He was succeeded as our MP by Tom Swain, who was a powerful personality and will be remembered by numbers of current activists in the Constituency. His career will be dealt with next. Tom Swain was the Labour MP for North East Derbyshire from 1959 to 1979. Even when we add the pre-1950 constituency set-up to the basic area we know today (thus taking us back to 1885), then Tom remains the MP with the longest period of service. Furthermore his majority of almost 20,000 in 1966 is the highest of any. Tom's record breaking is highly appropriate, as he was a larger than life character. At one time he was a fair ground boxer and some would say that he always looked the part. In the Commons Norman Tebbitt made a remark which offended him and he shouted out “If you say that outside, I'll punch your head in.” Sensibly, Tebbitt stayed put. Tom had ten children and five greenhouses. He had an ability which other back-bench MPs envied. He could get prominent coverage in the press, much to the delight of his constituents. In 1976 at the age of 66 he twice put to flight teenagers who were harassing women – at Chesterfield Station and also on the London Underground. The Sunday Mirror gave him full page coverage under a banner headline calling him “The Ladies Champion”, with four photos of Tom showing reconstructions of him adopting the“”Chinny Grip” he had used to control the young thugs. Tom had worked in the pits for 34 years and came to hold a variety of posts with the Derbyshire Miners, including Vice-President. His pugnacious style led him into conflict with Tory grandees, especially in the mutual conflict between Sir Gerald Narbarro and himself. Sir Gerald always turned up at Budget Day dressed as a dandy with a top hat, so Tom turned up wearing a pit helmet. Then at Prime Ministers” Questions to Harold Wilson, concerning building a statue to Winston Churchill, Tom asked if a statue could also be provided of Sir Gerald in Parliament Square to frighten away the pigeons. Yet Tom fought seriously for his constituents, starting from his maiden speech in a debate on the Coal Industry. Such speeches are expected to be non-controversial, but that wasn't Tom' style. He said that if he had attempted to be non-controversial, it would have been his first time ever. In a later speech he dealt compassionately with mining accidents, his own father having been killed in the pit. When in 1972, the Labour Councillors of Clay Cross refused to implement the Housing Finance Act (which hiked up Council Rents and started the destruction of Council Housing), their struggle gained widespread publicity. In defending them in the Commons, Tom said “I now come to the new centre of Europe – Clay Cross”. Tom was due to stand down as MP, but before the appropriate General Election took place he was killed in a car crash. The mini he was driving was hit by (of all things) an NCB lorry as he was travelling along Woodthorpe Road to Mastin Moor. As well as this being a personal tragedy, it turned out to have a serious impact on British politics. Tom was killed on 2 March. On 28 March the Callaghan Government lost a vote of confidence in the Commons by a single vote. If Tom had been alive, his vote would have tied the outcome and the Speaker (by convention) would have given his casting vote to the Labour Government. Instead a General Election had to be held, leading to Thatcher first becoming Prime Minister. As Tom had perceptively said to Thatcher in an intervention shortly before his death, Labour had not yet shot its fox. The current recommendations of the Boundary Commission would return the North East Derbyshire Constituency to the shape it enjoyed between 1970 and 1983. For the 20 years before that, the area had also included territory such as Mosborough and Beighton which were transferred to Sheffield prior to the 1970 General Election. Tom Swain was MP when the change took place. As explained in Chapter 9, he was due to retire in 1979, but he was killed in an accident shortly before that year's General Election. He was replaced by Ray Ellis who had worked at the High Moor pit in Killamarsh for 41 years, much of the time underground. Ray became Secretary of his local Miners' Lodge and then President of the Derbyshire NUM. When he attended the Derbyshire Miners' Day Release Classes he became known as “Educated Ellis” and during the 1983 General Election he was given to quoting from his favourite philosopher Santayana when he addressed public meetings. He served as Secretary to the Miners' Group of MPs during the 1984 strike and spoke in support of the Miners' case in the Commons. For the 1983 General Election, however, the Constituency Boundaries underwent a further change. Stonebroom, Morton and Pilsley were transferred to the Bolsover Constituency, whilst Barrow Hill and Mastin Moor were added from the Chesterfield Constituency. In the context of the times, this was an advantage to Labour, as Barrow Hill and Mastin Moor were then solid Labour areas. It was just as well that the change occurred, for Ray only held onto the seat in 1983 with a majority of 2006. He had suffered from the nationwide swing against Labour in 1983. This had resulted from a split in the Labour Party which led to a challenge from the Social Democratic Party led by Roy Jenkins who had been a former Labour Deputy Leader and Home Secretary. Nationally Labour ended up with its lowest percentage vote since 1918. As mining went into decline in North Derbyshire, Ray was to be the last local miner to enter the ring as a new Labour MP. He was preceded by the late Eric Varley who was first selected to stand for Labour for the 1964 General Election for Chesterfield and Dennis Skinner who became MP for Bolsover in 1970. Dennis originates from Clay Cross and had been Chairman of the North East Derbyshire Constituency Labour Party prior to becoming on MP. After 41 years, he still represents Bolsover in parliament. In all, ten Derbyshire Miners have been local MPs since James Haslam was first elected in 1906. In the next chapter we will examine the overall contribution of these pitmen politicians over more than 105 years. For most of the 106 years since 1906, this area has been represented by one or more MPs who originated as coal miners and had been officials of their local miners' lodge and/or of the Derbyshire Miners Association. In all, there have been ten such MPs. Anyone born in the area who is now a pensioner could well have come across six of these. I deal with these below in pairs. In the previous chapter, I dealt with ten North Derbyshire parliamentary pitmen politicians who were all members of the Derbyshire Miners' Association. All of these became Labour MPs, except Barnet Keynon who was exclusively a Liberal. The nine miners, who were Labour MPs, have been matched by nine fellow MPs who were not miners. I deal with these below. Between 1922 and 1944, the then Clay Cross Constituency was represented by four Labour MPs who were not miners - Charlie Duncan 1922-33, Arthur Henderson 1933-5, Alfred Holland 1935-36 and George Ridley 1936-44. Each of them died when MPs. Although Clay Cross covered more prominent mining areas than any of the North Derbyshire Constituencies at that time, they opted for 22 continuous years of having these non-mining MPs. I gave details about the Clay Cross Constituency in Chapter 5, in which I gave reasons as to why they endorsed non-miners. Three of the areas non-mining MPs have represented the Chesterfield Constituency - George Benson 1929-31 and then 1935-64, Tony Benn 1984-2001 and Toby Perkins since 2010. I deal with each of these each in turn below. George Benson had been imprisoned as a conscientious objector during the First World War, became Chair of the Howard League for Penal Reform and was knighted. He had a left-wing background, at one time being Treasurer of the Independent Labour Party. 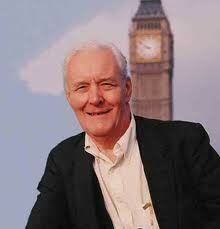 Tony Benn was first elected locally in a famous by-election in Chesterfield in 1984, just prior to that year's miners' strike. It was a contest which attracted a then record number of 17 candidates. He had been the MP for Bristol South East for two periods between 1950 and 1961 and then from 1963 to 1983, until the seat was abolished. His break as their MP between 1961 and 1963 arose because he inherited a seat in the Lords, but he successfully campaigned to allow people to reject their elevation to the Peerage; a matter that was passed into law in 1963. He held Ministerial Office during the periods of the Wilson and Callaghan Governments, moving to the left in the Labour Party in the late 1960s. He narrowly failed to beat Dennis Healy for the Deputy Leadership of the Labour Party in 1981. So, by the time he arrived in Chesterfield he had become something of an icon for the Labour Left. He went on to stand unsuccessfully against Neil Kinnock for the leadership of the Labour Party in 1988, losing by a substantial margin. Toby Perkins re-captured the Chesterfield seat in 2010, after it had been held by a Liberal Democrat for nine years. Overall, Labour lost 91 seats in that general election, so the gain of Chesterfield was quite an achievement. In his short time as an MP, he has served as a Shadow Minister for Education and is currently part of the front-bench team for Business, Innovation and Skills. The Labour MPs for North East Derbyshire (under its different shapes and guises) were exclusively miners until 1987. The pattern started up in 1909, when William Edwin Harvey moved from the Lib-Lab camp to Labour. Although Labour lost the seat between 1914 to 1922 and 1931 to 1935, there was a total of 70 years in which the seat was held by miners. These were Harvey, Lee, White, Swain and Ellis. I was the person who broke this fine mould. In mitigation, I can only point to my close links with the Derbyshire Miners. I had taught politics with classes of miners on day-release classes from 1966 to 1987. A summary of my own 18 year parliamentary career is contained in a 12 page document entitled "A synopsis of my time as an MP", culled from 121 detailed reports which I issued over that time to the North East Derbyshire Constituency Labour Party. In parliament Dennis Skinner, Tony Benn and myself fought against the continuing and final closure of Derbyshire's pits, but by the time I retired in 2005 the area had moved into a new era. The pits had gone. Up to then what had been the coal mining area of North Derbyshire had been served by a total of 17 Labour MPs; yet not one of these was a women. This was despite the fact that all of the Constituencies in the area had been served by powerful female activists such as Ethel Lenthall, Dot Walton, Thelma Lide, Jill Jones and Florence Hancock (in reference to the latter, who operated in the Clay Cross Constituency, it is stated "it can be literally said that Florence Hancock won Clay Cross for Labour.") In part, the lack of female MPs can be explained by the prominent role of the mining industry. The situation was only finally rectified in 2005, when I was succeeded by Natascha Engel. She had worked as a volunteer in Spain with Amnesty International, as a trade union political fund co-ordinator and as Director of the John Smith Institute. In the Commons her first parliamentary positions were those of Parliamentary Private Secretaries and as a member of Select Committees. From 2010 she has been Chair of the pioneering Back Bench Business Committee, directly elected to the position by her fellow MPs. In 2011 Natascha was "Backbencher of the Year" and in 2013 the Political Studies Association www.psa.ac.uk named her as "Parliamentarian of the Year". 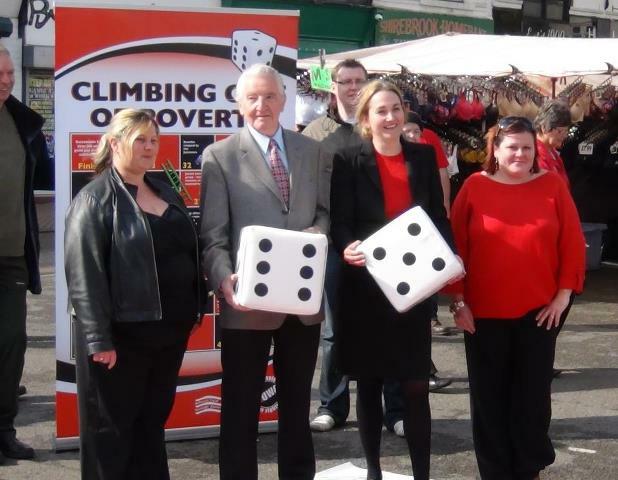 In the Labour interest, our area of Derbyshire is now served by Dennis Skinner, Toby Perkins and Natascha Engel. 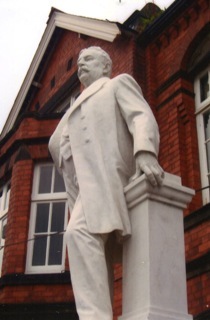 They represent the current stage of a journey pioneered by James Haslam and William Harvey whose (newly cleaned) statues can be found outside of the former Miners' Offices on Saltergate in Chesterfield. It is a tradition continually to be built upon.